CHARLOTTE, N.C. – Despite unseasonably mild temperatures so far this year, winter weather and potentially higher winter energy bills are still in this season’s forecast. That’s why Duke Energy Progress is continuing its 31-year tradition of partnering with employees and customers to lend a hand to those struggling to pay their energy bills. The Energy Neighbor Fund is an assistance program for Duke Energy Progress customers in need, helping eligible individuals and families cover home energy bills regardless of their heating source. Eligibility is determined by the Energy Neighbor Fund partner agencies. In 2016, Duke Energy Progress, its employees and customers provided $600,000 in bill assistance to North Carolina and South Carolina customers through the Energy Neighbor Fund. One hundred percent of funds collected from customers and employees goes directly to agencies helping those in need. Each donation is matched dollar-for-dollar, up to $500,000, by the Duke Energy Foundation, and funds are distributed locally through social service agencies, community action agencies or United Way organizations. Duke Energy offers similar energy assistance programs across all of its service territories. Contributing online to the Energy Neighbor Fund is quick and easy and contributions may be tax deductible. Additionally, Duke Energy Progress provides energy efficiency products, services and information to help customers save energy and money. 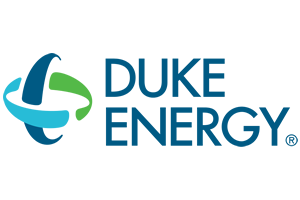 For more information and to contribute to the Energy Neighbor Fund, visit duke-energy.com.